Image: Marvel. Art by Joëlle Jones. 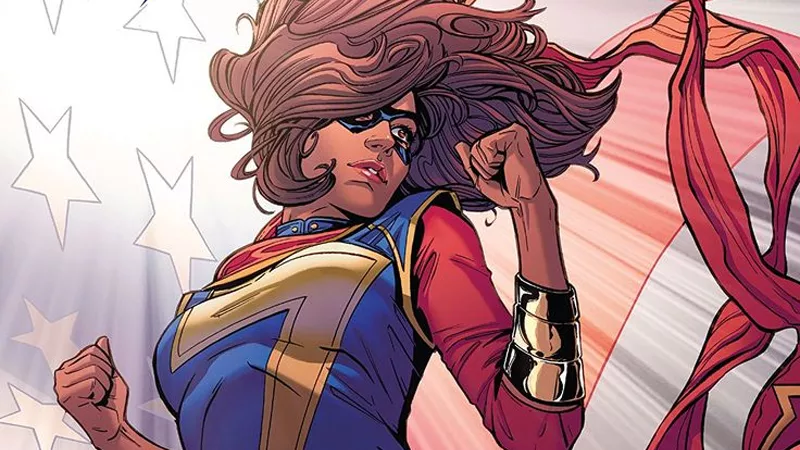 Captain Marvel is an amazing character, but her best legacy in the comics might be in the other hero inspired by her: Ms. Marvel, a role filled in the past few years by the amazing Kamala Khan. Kamala has long been a fan favorite, and a favorite of us here at io9. And in a recent interview, Kevin Feige, while unable to confirm anything outright, did say that the Marvel Cinematic Universe definitely had plans in store for the Muslim hero. “Definitely sort of” isn’t the most comforting thing Kevin could say about the character’s future, but it’s compelling nonetheless. The MCU is planned well in advance, this we know, though its shape does tend to change somewhat over time. But whatever those plans end up being, it’s exciting to know that Ms. Marvel has a solid chance of being a part of them. See the clip where Feige discusses Kamala below, via Twitter user StaarksHeart. Ms. Marvel’s appearance on the big screen would be a huge stride for Muslim representation, and for women in general, in the MCU and in film culture at large. Come on, Kamala. We’re rooting for you.